A note from Kevin Riley: This article was written by Doug Williams, Chief Research Officer at Innovation Excellence, one of the modelH collaborators. The eBook contains exclusive IX Research survey data from healthcare professionals that support this perspective and provides a clear view of how co-creation and collaboration amongst key stakeholders can spur innovation in healthcare. The eBook also contains a mini-case study of the modelH business model canvas for healthcare, which highlights the authors’ experiences using the Batterii co-creation platform to develop and validate a tool that itself will hopefully spur the development of innovative business models within healthcare. 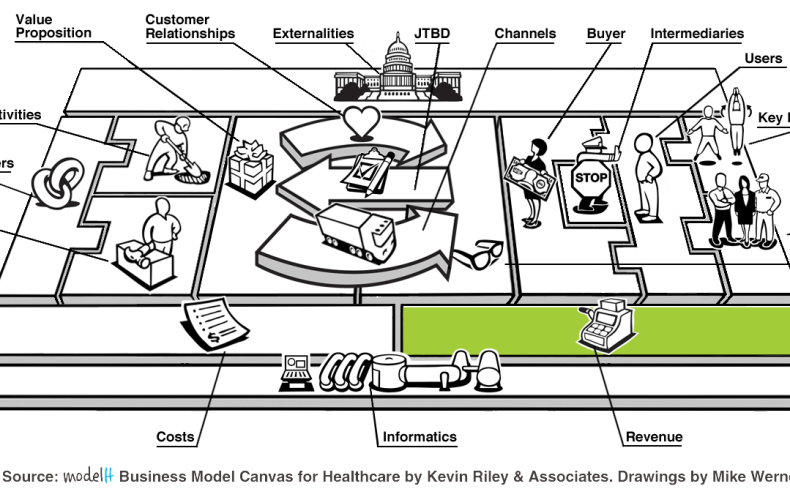 The eBook is a natural extension of the work we’ve been doing to develop modelH, the business model canvas for healthcare. In early 2013, Innovation Excellence, Kevin Riley & Associates, and Batterii created a groundbreaking partnership to develop the modelH canvas over the course of the year. You may have seen our regular modelH updates on these very pages. 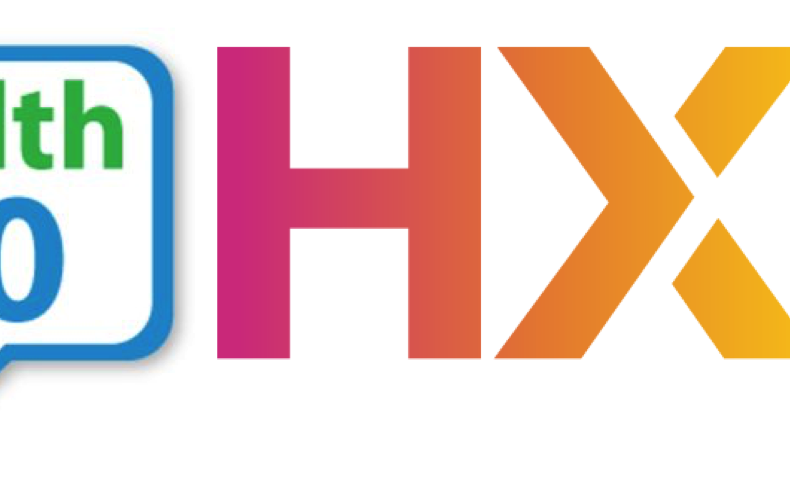 We finished the co-creative development phase of modelH in December 2013, and we are anxious to continue to test and refine the canvas in 2014, as well as publish more about our findings and the process that led to those findings. But we also realized that there was a bigger story to tell regarding co-creation in healthcare. We wanted to share our experience with co-creation in the context of the bigger opportunity it holds to transform the healthcare industry as a whole, not just in the development of a new tool for generating healthcare business models. You can obtain your copy of the eBook by clicking on the cover image above or the link below. Also, I’d like to invite you to listen in to our scheduled radio program on January 29 at 3 pm ET, when the authors and executives from Batterii will be discussing the eBook, the modelH experience, and the power of co-creation. Questions to ask on the canvas for the Informatics. 1st – Why do we need the Informatics Block? Your Value Proposition is the means your business solves the needs of your customer’s Jobs-to-be-done – this is called Product Market Fit. Measuring your revenue growth and costs is part of good business governance, but, consider that even if you are making money if you do not measure your Value Proposition’s alignment with the Product Market Fit – then you leave yourself open to someone disrupting you. Take into account the whitespace between your Value Proposition and your customers’ Jobs-to-be-done – this is the blue ocean of your business model. Either you explore it – or someone else will. Informatics is the means with which to measure and monitor your Value Proposition. In this business model building block, we ask the questions you need to gauge how well you are reaching your goals, how closely you are keeping with your vision (and when you need to pivot), and how you are maturing over your business model growth? These are the Questions that should be answered when developing Informatics components for a healthcare business model. What data is derived from your Buyer & User interactions? What systems are needed to capture that data? How does your business model gain and use insight from Buyer & User interactions? How does this insight improve your Product Market Fit? How does that insight improve your Behavioral Economics? How does this insight drive additional Revenues? How does this insight lower Costs? 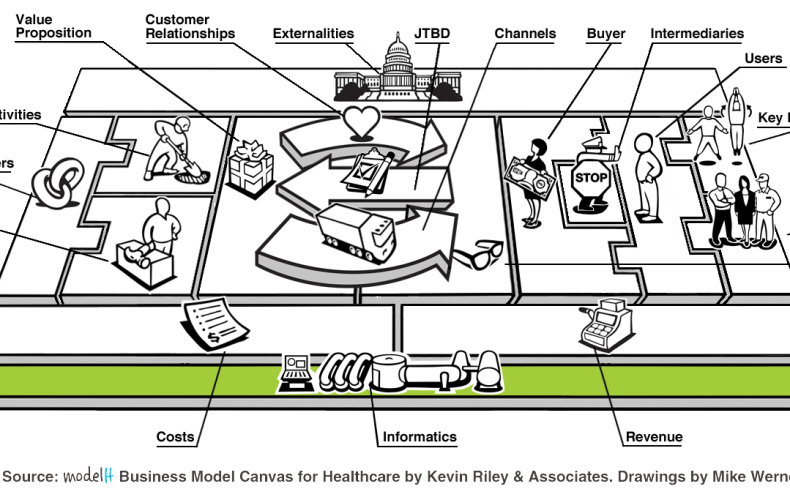 Most business model canvases do not specifically prioritize Informatics as a building block. I cannot answer for others on this topic, but for me to believe a business model is viable – I have to know how it will be measured for success. What data is required both now and as the business matures to ensure that it can pivot appropriately? What data can be mined so that new insights and new business opportunities in the whitespace can be evaluated? In my humble opinion, this is fundamental to any business, which is why we have it as a separate building block it in the modelH business model canvas. Tools needed to understand your business model’s Revenue. What are the Questions that should be answered when developing Revenue models for a healthcare business model? For what value are customers willing to pay? What do they currently pay for these services/items? What is the total addressable market size (TAM), or the revenue opportunity? The serviceable addressable market size (SAM)? The target market size (TM)? What is the justification for your sales projections? What is your revenue cycle and how you will manage it? What tools do you need to understand your business model’s Revenue? This building block really presents itself as a creative problem solving opportunity. It is the exercise of defining how many ways you are able to generate money from your product, or Value Proposition. Revenue is made when you someone gives you money for something you do or sell. Revenue Streams define the mechanics of how money will pass from your buyer to you, and how many other hands or business models touch it in the process. You will need to explain the value of your product/service to the consumer and how they will pay for this value. There are many combinations of how this can happen in various revenue models, some of which are explained below. Traditional Model – sell a product or service from your own inventory or from a Key Partner. Value-Add Model – add value to the sale of a product or use of a service by another. Freemium Model – offer a minimum product and charge for pro features. Affiliate Model – direct traffic, leads or referrals to another. Subscription Model – pay a recurring fee and/or transactional fee to access the product. Virtual Goods Model – selling virtual goods online in a game, app or website. Advertising Model – high traffic websites sell ads for their traffic. It is also advantageous to ask the following additional questions as part of defining a healthcare revenue stream. Do you expect the consumer to not pay in your Revenue model? If so, why? If the consumer does not, then who makes a payment? What other revenue streams have you envisioned, apart from consumer payments? Can you offer a subscription element to your Value Proposition in order to ensure repeat revenues? Can you offer a base service for free and then charge for a premium service? Can you have consumers pay different amounts based on how much they benefit? The best explanation we have seen regarding the understanding of various revenue models that might exist in a business model is from our friends at Board of Innovation. You can find this very complete and detailed example here – http://www.boardofinnovation.com/business-revenue-model-examples. The Revenue Steam equation we mentioned above is made up of two items – Price and Volume. Let’s talk about price. Price is simply the calculus of how much you think your value proposition is worth, or at least how much you think someone will pay for it. How do you set price? Costs – what is functionally the lowest price you can set? Competition – how do your competitors’ price compared to you? Value to customer – how much are customers willing to pay for your Value Proposition? Once you set your price, there are many pricing models you can employ to maximize your revenue. The two main types are fixed pricing and variable pricing. The rest are just simply derivatives of these two. Fixed pricing is setting a market price and taking it market – such as the price of a heart rate monitor on Amazon. Variable pricing is setting a base price and then allowing Buyers to pay what they will for it – such as the auction method on EBay. Fixed pricing is easy to understand. Variable pricing can make you more money but it puts some customers off. The more sophisticated a company, the more they can make their fixed pricing act like variable pricing. That heart rate monitor on Amazon actually changes price depending on the day and time of day of the purchase. This variance is based on sophisticated pricing algorithms that Amazon employs. The Revenue Steam equation mentioned above is made up of two items – Price and Volume. Let’s first examine volume. Volume is impacted by your market size and growth. It really depends upon two questions – how much of the market you can capture and how fast you can capture it? Total addressable market size (TAM), or the revenue opportunity available for the value proposition. Serviceable addressable market size (SAM), or the customers that can actually be reached out of the total addressable market (TAM). Target market size (TM), or the size of the initial focus for your minimum viable product release of your value proposition. 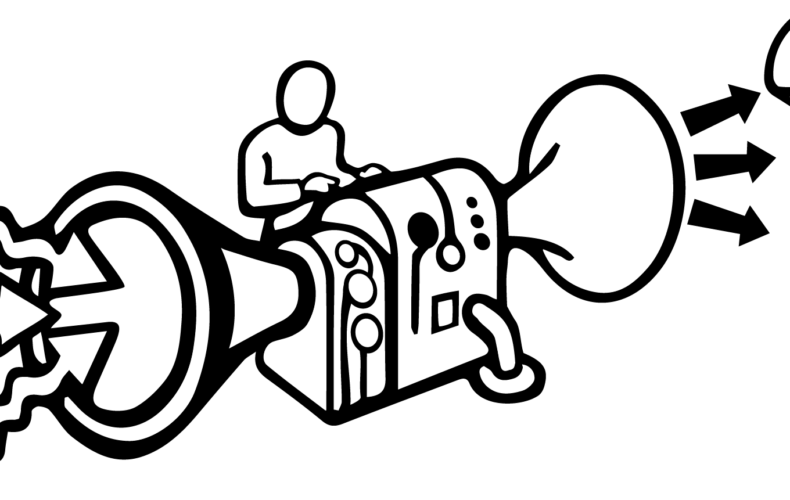 These can be seen in relation to each other on the graphic below. The best explanation we have seen for market speed and understanding the various revenue models is found in Steve Blank’s Udacity class, which you can find here – https://www.udacity.com/course/ep245 . This is simple to read but also accurate and brilliant. This is a fancy way of saying how often you are paid and the difficulty related to collecting timely payments. For example, if you receive payment as part of someone else getting paid, you have to take into account that delays will inevitably happen. A bottleneck lies with your downstream revenue chain. Delayed payments mean you need more cash on hand to handle your operating costs. It also means your prices should reflect these delays. In accounting, this complex structure is referred to as Receivables and Revenue Accruals. According to Investopedia, a company records receivables as an asset because it expects to receive payment for that amount relatively soon. Long-term receivables, which do not come due for a significant length of time, are recorded as long-term assets on the balance sheet; most short-term receivables are considered part of a company’s current assets. On the other hand, revenue accruals (or accrued revenues) are treated as an asset on the balance sheet rather than a liability. This reporting is important to the valuation of a company, particularly in the service industry. 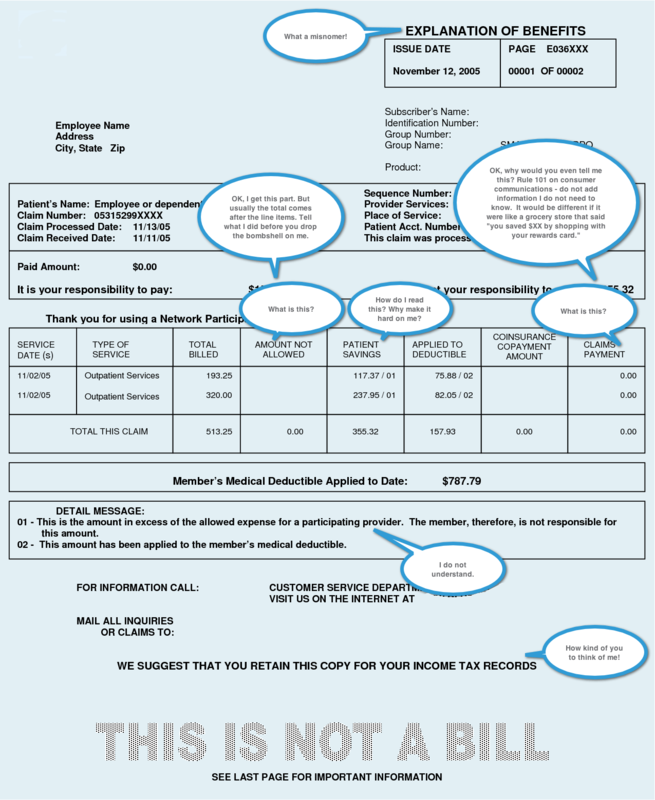 Billing typically occurs after the work or service is complete. Without this asset class on financial reports, the company could appear to have much lower revenues, and may not have a fair method to balance expenses associated with the accrued revenue. Since these items are industry specific, most companies may reserve for uncollectible accounts. An insurance company, however, may have to set up an account for an unearned premium reserve. Revenue Cycle also require Key Resources. For example, most accounting systems have a billing module. This system is based on creating a receivable and corresponding invoice for a customer. However, the revenue side is a bit more complex. You can only recognize revenue when earned. Thus, many companies use a different billing/AR system than their accounting software package. This would require using Key Resources for both systems – accounting software and billing software – as well as an interface between them. As you can see, it can become very complex. If your business model sells directly to a healthcare consumer, your revenue model might be much simpler. However, if you sell into another business model, like an Accountable Care Organization, your payments might be dependent on them. Many good business ideas have gone bankrupt due to poor cash management. Clearly defining the complexity of your revenue cycle and careful management is an important part of your business model. In conclusion, take time to incorporate these approaches into the Revenue block in your business model canvas. 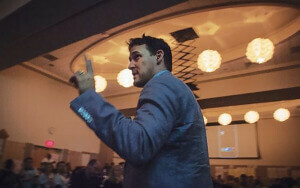 You must be able to clearly articulate 1) that you have an understanding of how you will make money, 2) how big your market is and how much of it you can realistically capture, 3) how you will price to win, and 4) how you will manage your customer payments. Good luck! Why Do Costs Matter So much more in Healthcare Business Models? Outside of just the necessity for a good business model, there is a case to be made that Cost represents the most important part of all healthcare business model building blocks. This idea is further supported by the fact that federal spending for health care programs is growing much faster than other federal spending in comparison to the economy as a whole. In 2011, the most recent year in which most of the countries reported data, the U.S. spent 17.7% of its GDP on health care, whereas none of the other countries tracked by the OECD reported more than 11.9%. And there’s a debate about just how well the American health-care system works. As the Journal reported recently, Americans are living longer but not necessarily healthier. This graph shows the misalignment regarding the spending of U.S. healthcare dollars (as a percent of GDP) with the rest of the world. In 2011, total spending for healthcare in the United States was approximately $2.5 trillion — 16.4 percent of the GDP, according to the CBO. Private financing accounted for 53 percent of that spending, and public sources made up the remaining 47 percent. It has not slowed. According to the Congressional Budget Office’s 2013 long-term budget outlook report, healthcare spending will increase to approximately 22 percent of the gross domestic product by 2038 under current law. This is driven by various factors such as an aging population, new medical technologies and expanding health insurance coverage. Likewise, the CBO projects spending on federal healthcare programs including Medicare, Medicaid and the Children’s Health Insurance Program will grow much faster than the economy, increasing from their current level of 5 percent of GDP to 8 percent by 2038. What are the Questions that should be answered when developing Costs for a healthcare business model? What are the most important fixed Costs inherent in our business model? What are the most important variable Costs inherent in our business model? What drives these Costs and which ones are controllable? What Costs can be reduced through economies of scale? What Costs can be reduced through economies of scope? Which Key Behaviors are most expensive? 2nd – What tools do you need to understand your business model costs? What are the Key Costs a business model should identify and what tools do you need to show those costs? It is this second pillar that we are focused on. Therefore, what are the Key Costs a business model should identify and what tools do you need to show those costs? It really depends on which side of the model you are looking at … patient, provider, payer, or purveyor. They are all inter-related. Let’s look at this question slightly different. Which Costs Should I Be Concerned About? Your base costs are probably from one of these “Standard Expenses”. Then you might want to layer on “Expenses Impacting Gross Margin/Profit”. These are industry specific. In insurance, for example, these are categorized as medical expenses. In Retail, this would be considered a cost of sales. Then you will want to add in your “Expense Accruals”. These are industry specific as well. For example, insurance companies are required to book reserves for claims incurred but not reported (called IBNR). Keep in mind that Accruals are contingent upon your method of accounting – cash versus accrual accounting. So How Can I Track My Costs? Though your business model is still just an idea, you can build “budgeted” expenses in Excel. When your business model becomes a “business”, you need to start tracking “actual” expenses. 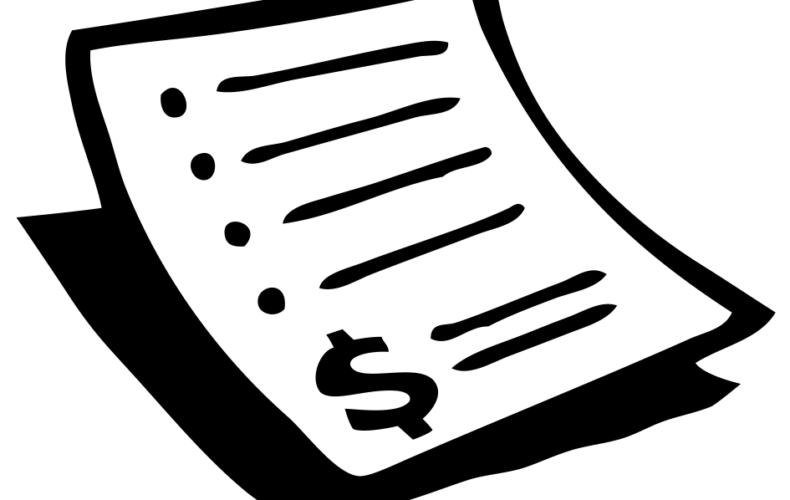 Actual expenses are tracked in accounting software such as QuickBooks, PeopleSoft, etc. This process of budgeted versus actuals will be repeated for as long as you run your business – at least we hope that you follow this method. As such, as you mature, we recommend using the same system for building your budgets that you do for tracking your actuals. This will make tracking your variance analysis much easier. As an additional exercise, it is interesting to compare the costs in a proposed business model versus the costs when doing nothing. For example, what are the costs of not changing the old business model – and are they more or less to the User, Buyer, and System. If they are less, you should question the value of your business model beyond your own financial benefit. Involved that expert from the start. Take time to incorporate these approaches into the Costs block in your business model canvas. Regardless if your business model is aimed at Patients, Providers, Payers, and or Purveyors, defining the Cost is a fundamental discipline you need in order to make your idea into a successful company. We defined the questions that should be added to our business model canvas for helping practitioners define their Key Resources. What Key Resources do our Channels require? What level of Key Resources will your Cost model support? 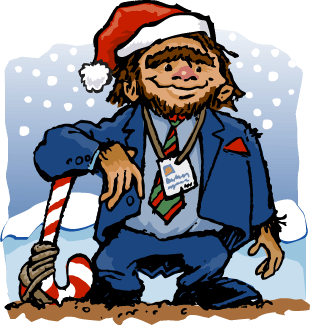 What employment Value Proposition can you offer to your Key Resources? What staffing model will you use to ensure the right amount of resources? What sourcing model will ensure you get access to the right level of talent? We outlined methods and factors associated with determining the right amount of skill level necessary for Key Resources in your business model. Determining the right amount of Key Resources for your business model to succeed requires considerable planning, estimating and forecasting (and sometimes lucky guesswork). We noted that for any business – startup or legacy – employee labor represents one (if not the most) of the most significant drivers of cost. Managing these costs appropriately so that your business succeeds over the long-term also requires a focused and significant investment in planning, estimating and forecasting. Additionally, hiring too many workers will result in unnecessary cost to your business and ultimately to your customers. That will enable too few workers which will likely result in overworked and stressed-out individuals, unable to deliver on your value proposition. Eventually, they will look for other places to use their talents. We shared that while your company might not be ready for a full-blown staffing plan, hiring the right number of individuals requires some form of in-depth planning. Foremost, it is important to clearly listing the specific outcomes, objectives or dependencies that are linked to each phase and value stream associated with your Value Proposition. Similarly, establishing multiple assumptions about the growth path of your business, accounting for busy times, slow times, seasonality, product demand, etc. and then estimating the number of individuals required to deliver each component of the value proposition were all cited as essential in building your staffing model(s). The accuracy in determining the right number of resources was noted to be largely dependent on how well each phase of the value proposition was defined. Be aware of the questions (listed above) in the Questions to Ask on the Canvas for the Key Resources Block section: What Key Resources are required (not nice to have) by your Value Proposition, Customer Relationships, Channels, and Revenue streams? What Key Resources will your cost model support that allows your business to grow and thrive? Finding the right skill level for Key Resources was noted as being more complex than determining the staffing models or framework most appropriate (and cost effective) for your business. As is the case with building accurate staffing models, determining and finding the right level of Key Resources is highly dependent on clearly defining the work and the requirements (education, skills, competencies, experience) to do the work (a job or role description). The job description, whether formally or informally described, is viewed by most organizations as the foundational component for the sourcing, recruitment, and acquisition. And that – in many ways, the job description is the common language that allows your company to communicate to the sources of talent what your company needs. We also cautioned you (the reader) – that while the job description is key to understanding the specific requirements of a job or role, no individual or job operates entirely independently. While considering the people skills involved for a particular job, pay particular attention to understanding how a certain set of job requirements complements or duplicates those of other roles. When scouring for talent, the numbers of resources available to assist any size healthcare company are countless. The sources range from free, or nearly free web postings of your talent needs to the enlistment of a highly specialized recruiting firm to find unique and scarce skill sets. Social networking sites such as LinkedIn have become for many companies across the maturity spectrum, an invaluable source (and often the first source) for locating highly skilled and experienced healthcare and other types of talent. In summary, the tasks of sourcing, recruiting, acquiring, deploying, managing, engaging, and retaining your talent (Key Resources) are often cited as the most critical aspects for any business’s success. I advocate that you ensure your Key Resources mirror the Key Activities required by your business model building blocks. If you ensure that your Key Resources are clear on the business model as a whole, and on how their role helps bring it to market, you will create the single most positive impact on the delivery of your value proposition. It takes one person to come up with an idea – but it takes a team acting in concert to make it into a successful business. Make sure you allow your great idea to flourish through the good work of your Key Resources. I will be publishing the learning from 1.13 Key Partners next week. Next up on the modelH Collaboration Forum, we are going to do a short two-week sprint on Costs and Revenue. Interested in what we are doing? Step up to the plate and become involved. What questions do we ask for the canvas regarding Channels? How do we treat the development and optimization of the Channels that help our Customer Segments find our Value Proposition? Your Channel (communication, distribution, or service) is where your Value Proposition is delivered to your Customer Segments. Channel development starts with understanding the Buyer’s Purchase Journey, defined by the specific steps a buyer takes while deciding to purchase a given Value Proposition. But healthcare business models must also consider which Channels are relevant to how a User actually “uses” a given Value Proposition. Finally, we’ll explore the effect that Key Influencers and Intermediaries have on a Channel’s outcome to achieve optimization. Customers often use multiple Channels to decide upon and purchase (or consume) a given Value Propositions. Consumers have the expectation that retailers with multiple channels should have alignment across channels for both service and sales. Channel Threading is the intentional connection of multiple Channels with the understanding of how they will be used to complete an outcome for your Customer Segment. 2) Thread Channels together to create a meaningful purchase journey. What are the Questions that should be answered when developing Channels for a healthcare business model? Through which Channels are you touching your Customer Segments now? Do your Customer Segments use multiple Channels, and if so how? Which Channels work best for your target Customer Segments? How are you integrating your Channels with your Customer Segment routines? Which Channels are most cost-efficient for your target Customer Segments? Are there Intermediaries in your Channels? How do you engage your Key Influencers into your Channels? How do you design business models that optimize Channel mix based on Customer Segment and preference by threading them together to create a meaningful purchase journey? 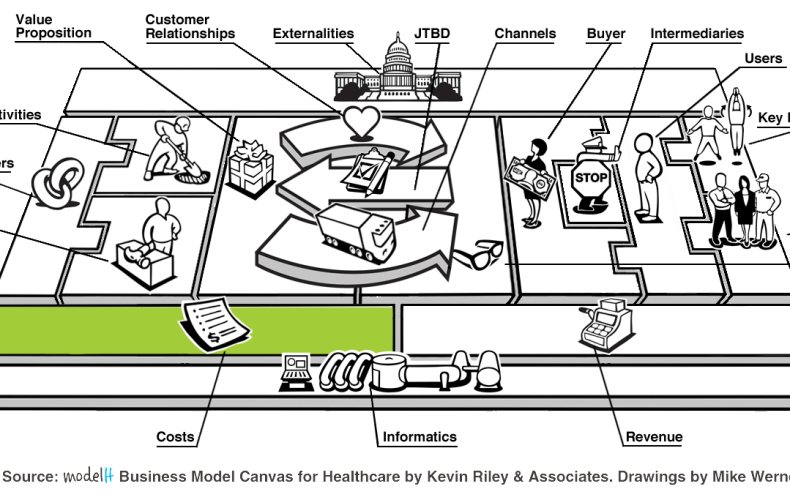 It is critical for healthcare business models to correctly use their multi-channel strategy. It is necessary to know your total traffic amount from each channel. Moreover, you must be able to trace how consumer transactions take place – across multiple channels. Most importantly, you need to make it as easy possible for the consumer to navigate where they need to go and convert. Channel Threading is the intentional connection of multiple Channels with the understanding of how they will be used to complete an outcome for your Customer. It is tying together the touch points that exist today, as well as areas that are not being addressed but are desired by your Customer Segment. Furthermore, the modern customer uses multiple Channels to decide upon and purchase (or consume) a given Value Propositions. To do this well, it creates methods of distribution that are linked together in a meaningful way. This enables healthcare companies to create personalized products and messaging. Channel Threading starts with understanding the consumer’s purchase journey. The purchase journey is comprised of the steps a customer takes in deciding to buy and use a given Value Proposition (product). It involves the Channels in which the steps take place as well as the affect that Key Influencers and Intermediaries may have upon the outcome. However, healthcare it is very complex. There are two parts to the journey: the purchase and the use of the purchase. Both of these parts matter equally in healthcare business models, but, unfortunately, do not have equal treatment. Traditionally, more time has been spent on the sale than on the use side of the equation. Ultimately, the winning healthcare business models will not focus on helping consumers navigate through the maze of health options available but instead remove the maze altogether. As the maze is different for every individual, the most successful models will know who their customers are ahead of time and will understand their preferences. Keep in mind that you cannot be all things to all people. Increasingly complex consumer behavior is strategic to understand and address in your actual channel strategy. This strategy should stem from what your Customer Segment desires, instead of what you believe it needs. When you pick a channel, you must also pick an “EST” which creates a focused experience. For more on the theory of EST, I suggest you read Winning at Retail: Developing a Sustained Model for Retail Success by Willard Ander and Neil Z. Stern. The upshot of this theory is that the best retail channel companies intentionally create a defined market position for themselves, and reinforce this position in the customer’s mind. In short, they dedicate themselves to being the best at one of the “EST” models, and then defend that advantage against the competition. Basically, it is very simple to implement. First, pick which Customer Segments are most important to you. Then build what Channel(s) matters most to your customer. Put them in a priority list according to their needs and what is perceived as Value. Then craft an orchestrated Experience across the list. Devise what adds value to your Value Proposition (both known and unknown) in an iterative fashion. 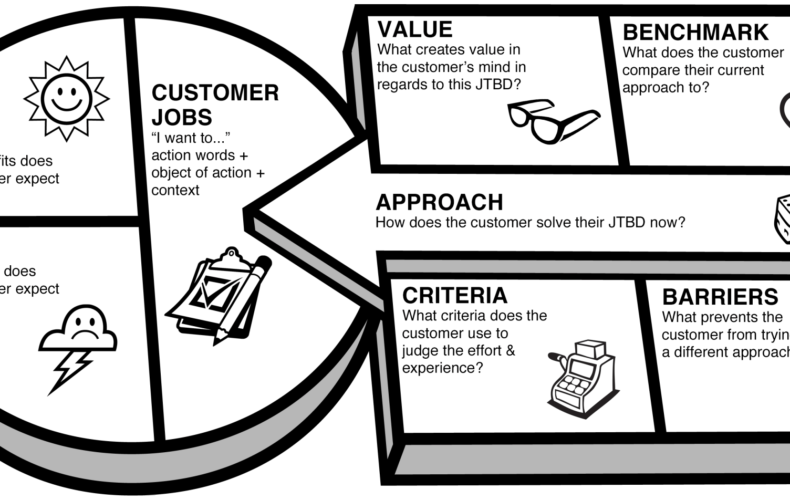 Building the appropriate channels for any business starts with identifying the jobs-to-be-done (JTBD) for each of the consumer purchase journey categories, or “bubbles” as shown above. The next step is to identify all possible channels that the consumer can use to complete their JTBD. This includes channels inside and outside of your control. After all possible channels are identified, consider the degree of fit for each selected channel: product and customer fit, profitability, goals and objectives, and sales goals. By definition, a “hassle map” defines all of the actual steps that characterize the negative experiences of the customer. For our work, we will use the term but understand that it does not necessarily equate to all negative experiences. In this situation, we will define the Hassle Map as the “steps that characterize the various channel experiences of the customer in completing their JTBD.” The goal is to create the actual journey of the customer across all selected channels. The next step is to create the desired “channel threads” from the representative gaps in the process. These threads show how the customer uses your channels in combination or sequence to complete their JTBD, planned or otherwise. The redesign requires accentuation of the existing positive experiences and improvement of those negative experiences that represent what is most appealing to the customer. This minimum viable product approach to channel improvement is necessary because 1) there is a limited amount of work that can be accomplished at any given time, and 2) the customer’s needs and wants for a channel will change over time as they acclimate to the process (and like it). An example for this is the migration from retail banking to online banking. This work also includes clearly stating what is being “left out of the process so that manual workarounds can be developed and communicated”. 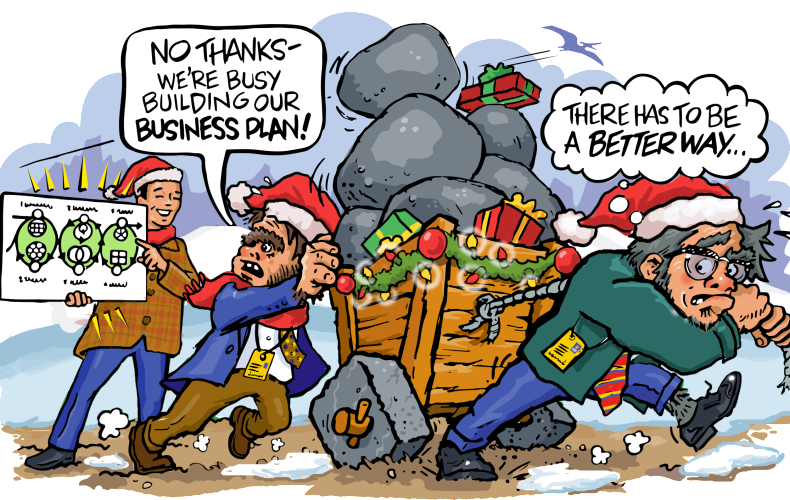 The final task is to create a channel development plan. This is in conjunction with the channel owners and other internal stakeholders, for the tasks needed to modify and/or link channels to optimize the consumer JTBD flow. What happens when you Channel Thread without regards to good Experience design? This is a key question. Watch this engaging video explains this concept. In all seriousness, this is a funny video that does a good job of showing how multichannel retailing can work – although in this case, very poorly due to a bad customer experience. Your customers want and expect you to tie together their experiences across your channels (and others). Imagine ordering a pizza in the future and your health insurance premiums change with your toppings. There are three additional factors to consider when selecting your Channels and Channel mix: control, visibility and customer preference: Control – amount of control you have over the customer experience; Visibility – strength of potential to collect customer data; Customer preference – prioritizing options for direct or indirect channels. Take time to consider any of these topics along with other relevant factors in the Channels block of your business model canvas. Regardless of whether your business model is aimed at Patients, Providers, Payers, and or Purveyors, you need to focus on properly defining your Channels, Channel mix and the threading of your Channels. The goal is for the Customer Segment to successfully complete their purchase journey and realize your Value Proposition to its fullest. Next up, we are going to do another doubleheader. We will examine Customer Relationships (1.9) and Customer Experience (1.10) simultaneously. Hopefully, we can optimize making sense out of experience when juxtaposed with relationships. To be sure, I am not a raving fan of AT&T but I respect their product offering, and they seem to be getting much better at customer service. In truth, their coverage where I live at the beach in Florida is terrible. But, for the most part, they are pretty spectacular anywhere else I travel for work. I pay around $130 to $150 every month for their services. I know and trust and rely on their product. But, historically speaking I have had two issues with their product – at least from the arena of understanding my bill charges and getting someone one the phone to help me get answers. I can sympathize as they have a lot of customers to deal with daily. However, I am still the customer, and I pay them close to $1500 per year. I have the right to expect better. Such is life. I have upgraded my phone and service several times in the life of my relationship with AT&T. Invariably, I am always confused at the one-off charges I see on the bill and in many cases, I have had the need to call and clarify what they were. I dread this scenario because I know it will be several trips through their telephone prompt system, then saying the same thing to at least three reps that have a somewhat less than mastery of English. One month ago, I upgraded my iPhone to the new 5 (my relationship with Apple is a story in itself, and someday I may let you know about it). 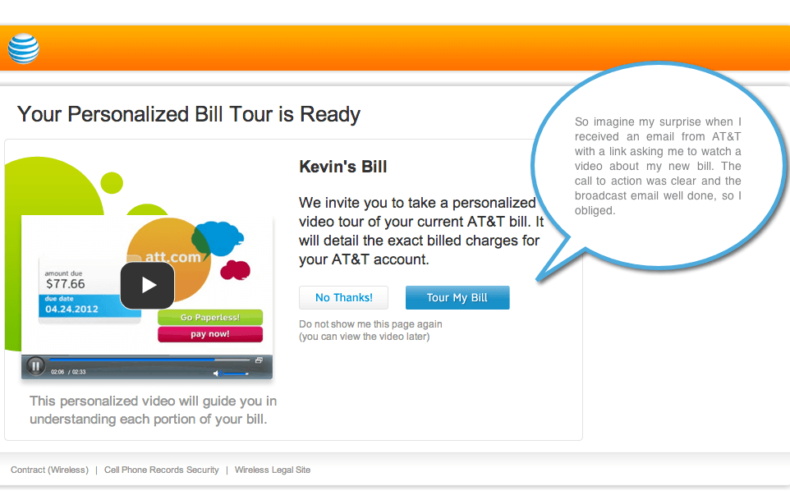 So imagine my surprise when I received an email from AT&T with a link asking me to watch a video about my new bill. The call to action was clear and the broadcast email was well done, so I obliged. It took me to a page at the AT&T site where I saw a video that explained my most recent bill, in clear detail – even the one off charge. It was very well done, and it was tailored just for me. I can still get access to the regular online or printed bill as well – but I feel no need to now. How did they do it? I am not so naïve to think AT&T chose to invest resources in the AV department to create a video just for me – so I have to assume this was done by some smart new vendor that can tie into their systems and use list data to create custom videos. Whatever the reason, the result was that I understood the bill, and I did not feel a need to call AT&T – this saving them the transaction cost. I have to assume the economics are for the mass/custom video versus the support line. Furthermore, they saved me aggravation and got me talking in a positive light about AT&T. Nice work. One other thing, because this is new technology and a new experience (I am sure they tested it quite a bit), AT&T was smart enough to ask me some survey questions at the end to see what I thought about it. Thus, validating their efforts. Again, nice work. If My Phone Provider Can Do It, Why Can’t My Healthcare? As I said, I spend approximately $130 with my phone provider each month. By contrast, I spend $400 with my health insurance provider. As bad as my old phone bill was, by contrast, it is like a new Harry Potter novel (FYI I love Harry Potter books) compared to the bill I get from my insurance company. Or should I say, the “THIS IS NOT A BILL” I get from my health plan. Take a look at a sample Explanation of Benefits (EOB) below. Firstly, I find it somewhat ironic that it is called an Explanation of Benefits – as it is neither a benefit nor a good explanation of what I owe. I am not picking on any one plan – I just happened to be able to find a sample EOB for them online. And not wanting to post my own, I had to have something to speak to, so they are the lucky winners. In truth, from what I know and what I have heard, all if not almost all insurance companies are this bad. Here is what drives me crazy about this document. It gives me more than I need in a poorly laid out manner, so it guarantees my confusion. Thus, resulting in my need to call them. Thus, having to deal with the call center for the insurance company. Thus, ensuring I add anger to my confusion. This repeat cycle is a never-ending loop for million of customers across the country. When will the health insurance companies get it right? If AT&T can do it, I now expect them can as well.